Preparing For Our Children's Future: Thanksgiving Crafts! 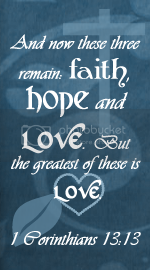 I am not as much of a craft person as I would like to be (or maybe I should say hope to be!)! I think it is mostly because I am too much of a clean freak and the idea of having glue and little pieces of paper stuck all over you and everything is just not appealing to me! =) I know, I know, I need to get over that! My girls love to make crafts and I just have to overlook stuff like that and make it as fun as possible! 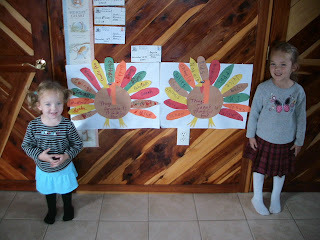 We did out Thanksgiving crafts on Monday (the 23rd) and made some turkey pictures! First we did the "hand turkeys" tracing the girls hands on construction paper and drawing the head on the thumb and making legs for the hand turkeys! I also printed off some cute Thanksgiving pictures for them to color that I found linked up on HERE. For the main, big craft, we made "Thankful turkey place mats"! I just made my own patterns, drawing and cutting them our of construction paper and we used an old desk calender pages to glue them onto! Very frugal, huh? Here is both girls, (above) with their finished products! Princess S. got to cut out most of the feathers for the turkeys! I let her come up with most of her things to write, but we had to settle for "animals" and "bugs" instead of each individual animal and bug!! 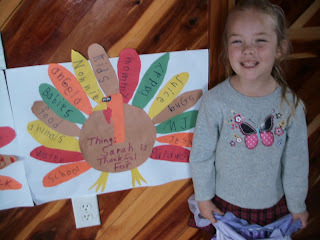 =) She wrote all the things she was thankful for on her feathers too. She is a very good writer! Princess A. "wrote" with her markers on her feathers, making circles and squiggles! 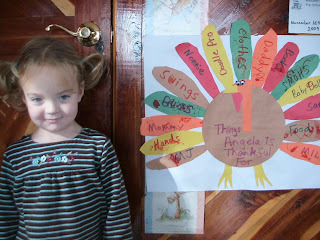 Then mommy wrote the words that she approved for her turkeys feathers! Both girls had a good time and are very proud of their turkeys! I plan to cover them with clear plastic so they will not get tore up and we can keep them better for future Thanksgivings! BEAUTIFUL TURKEYS made by BEAUTIFUL SISTERS! I love your idea and will make these next year with my children!!! We like to do a Thankful Tree...we put twigs in a vase and make colorful leaves (much like your feathers, but smaller) and on each leaf we write what we are thankful for...and by Thanksgiving...we have a TREE FULL OF THANKS for our centerpiece! My kids will enjoy making these turkeys you have shown to us! THANKS! Uno Moo! Giveaway! Check it out!! 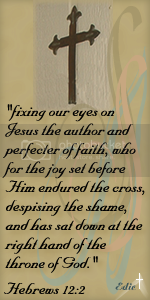 ~Music Mondays~ "God will Lift Up Your Head"
A Discovery Toys Giveaway!!!! Check it out!